18kt sedna gold case with a 18kt sedna gold bracelet with white mother of pearl inlays. Fastened 18kt sedna gold bezel set with 60 baguette diamonds. White mother of pearl dial with rose gold-tone hands and diamond hour markers. Dial Kind: Analog. Date show on the 3 o’clock position. Omega calibre 8521 automatic movement with a 50-hour power reserve. Scratch resistant sapphire crystal. Screw down crown. Clear case back. Case size: 34 mm. Spherical case form. Deployment clasp. Water-resistant at 100 meters / 330 feet. Purposes: date, hour, minute, second. Luxury watch taste. Watch label: Swiss Made. 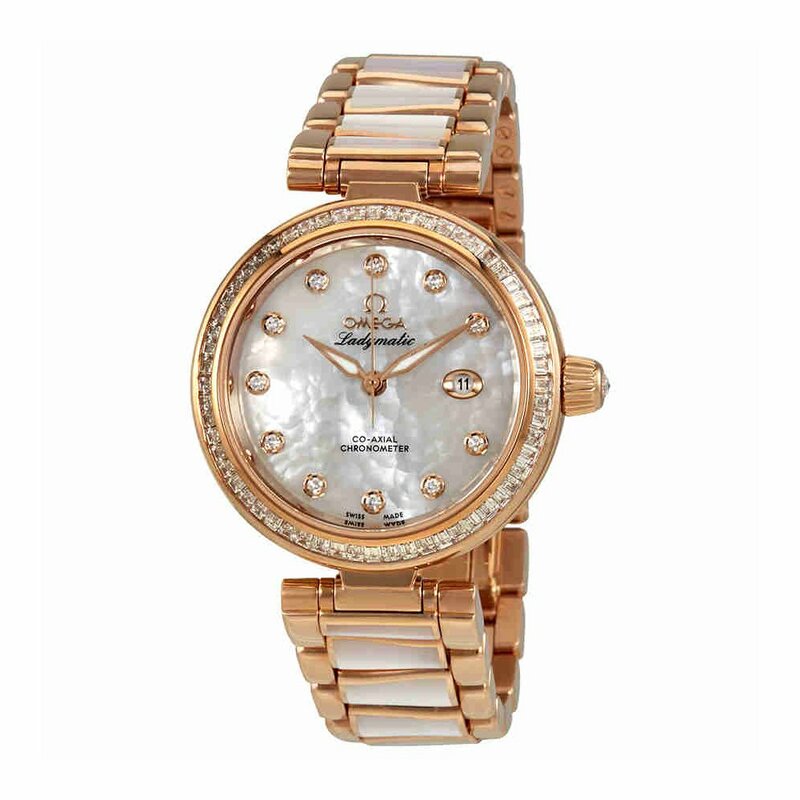 Omega De Ville Ladymatic 18kt Rose Gold Diamond Watch 425.65.34.20.55.007.